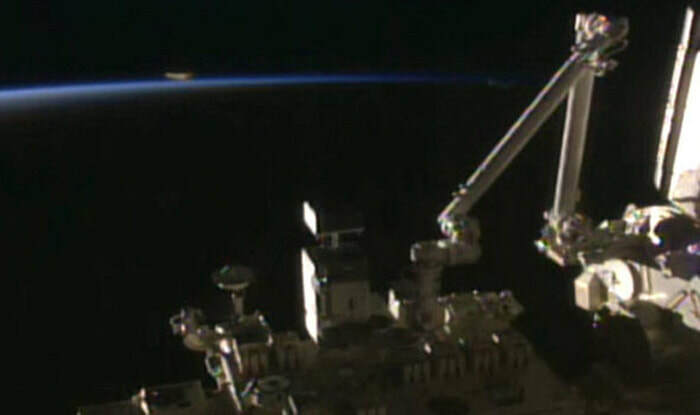 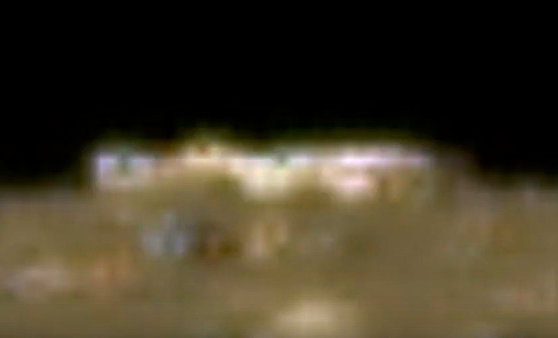 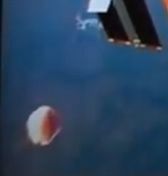 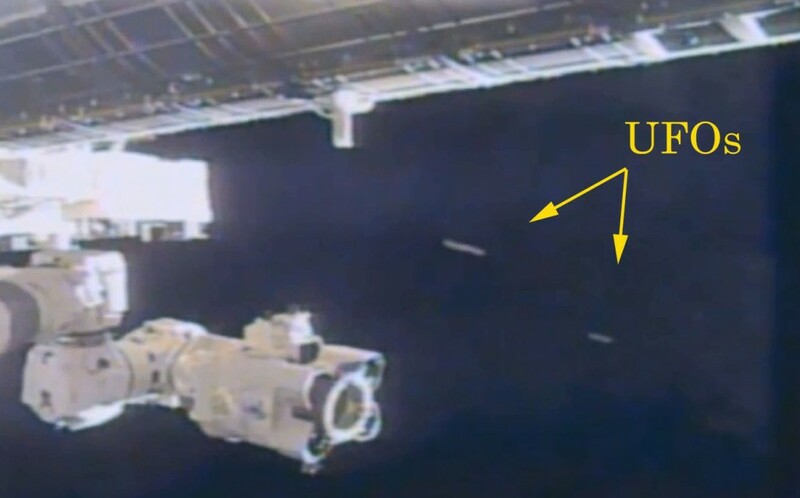 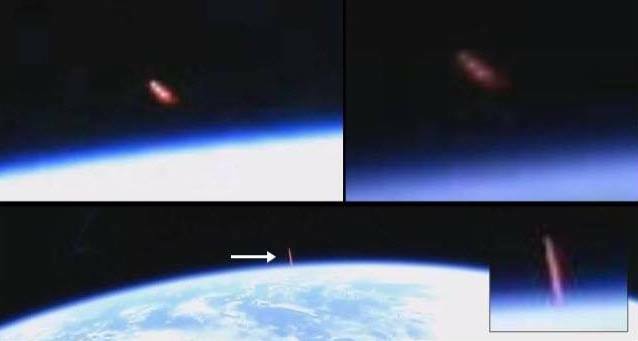 Above-are these possibly Tether type craft (left) but landed? 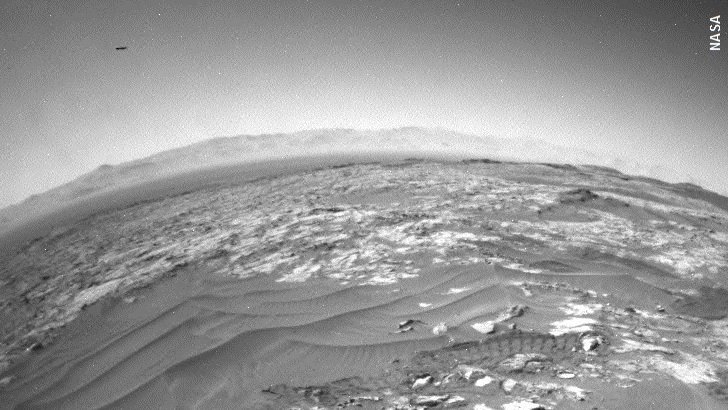 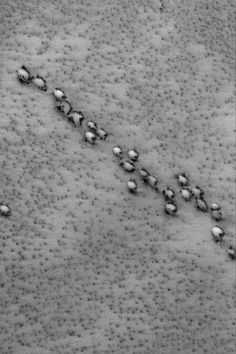 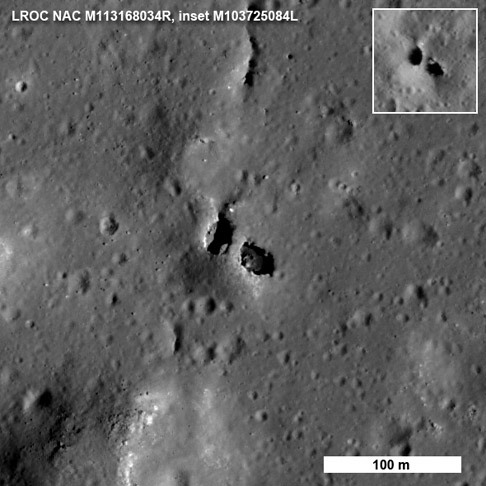 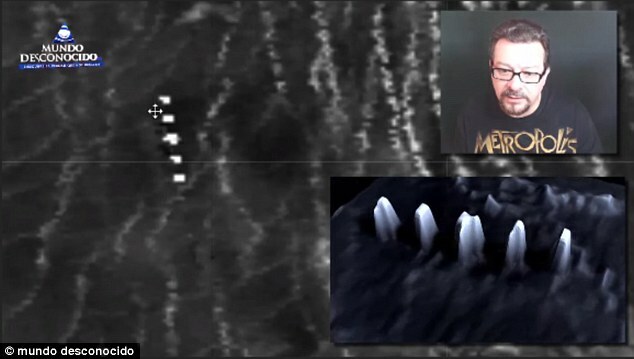 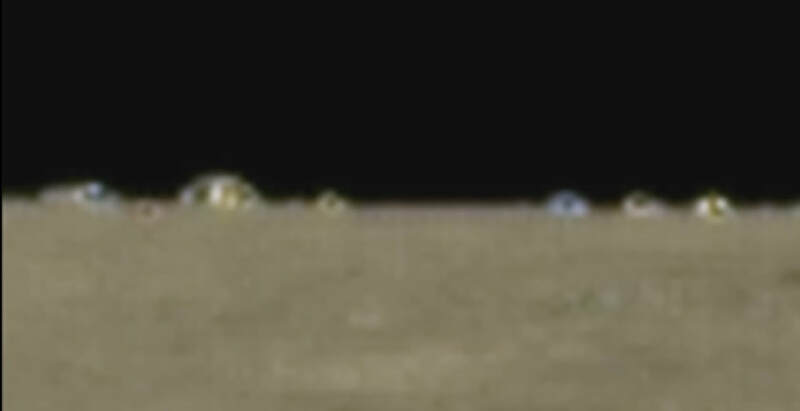 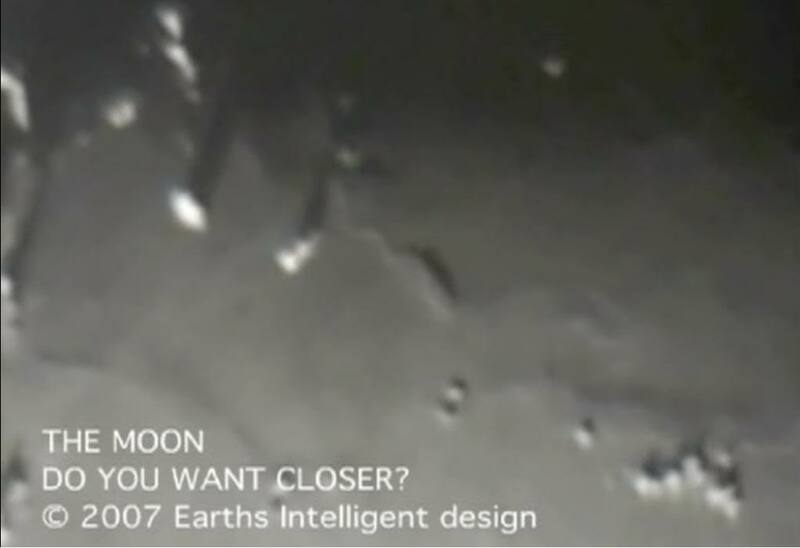 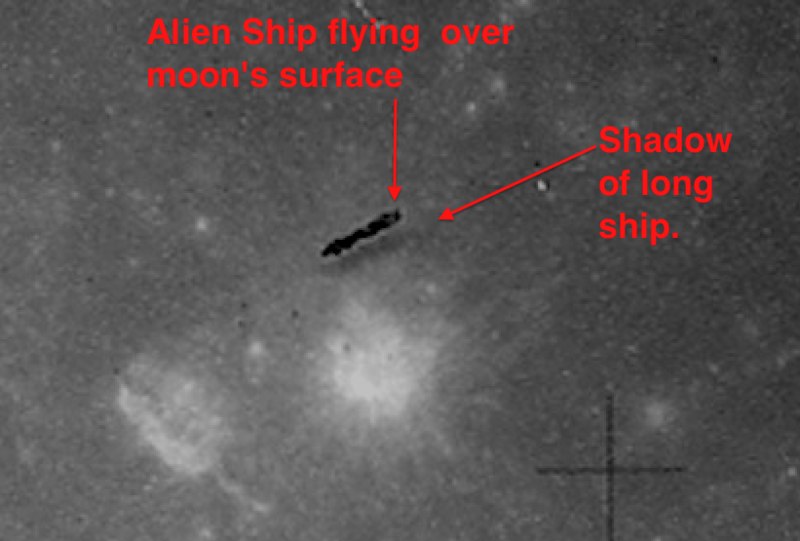 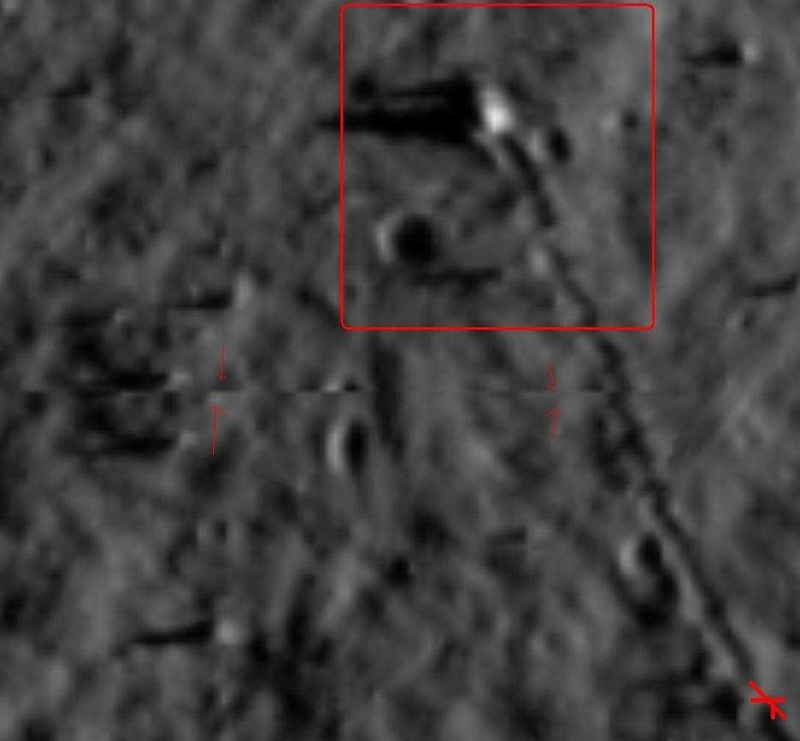 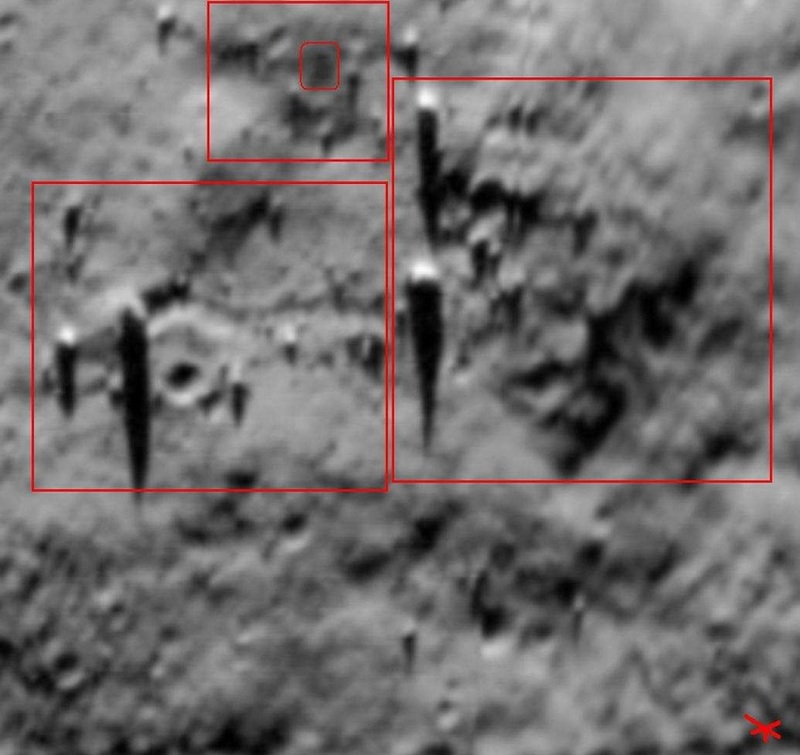 They do seem to be not just part of the moon-see the tracks? 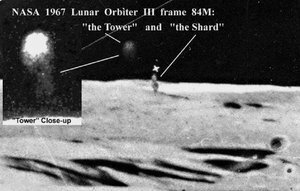 There are many towers on the moon & possibly monoliths,pagodas,domes,'bridges',machinery..all sorts of stuff left from earlier trips,like four or five thousand years ago..& mining operations & stuff like that.Find that hard to believe? 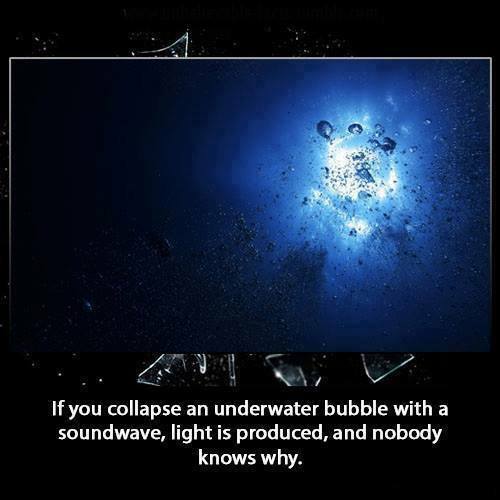 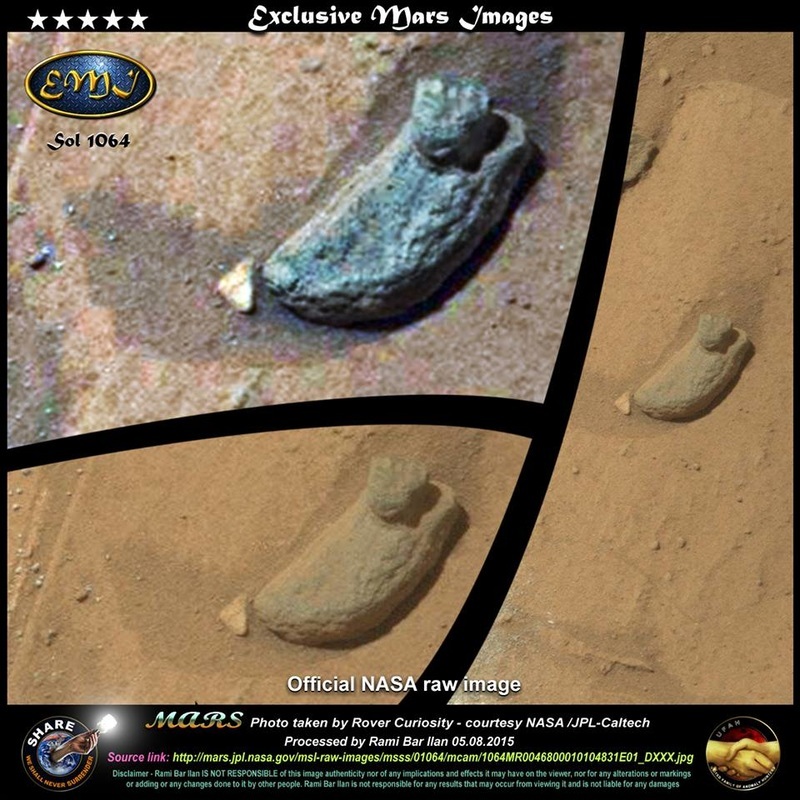 The evidence is pretty conclusive,but mainstream science won't go there,they might lose their funding/job or whatever. 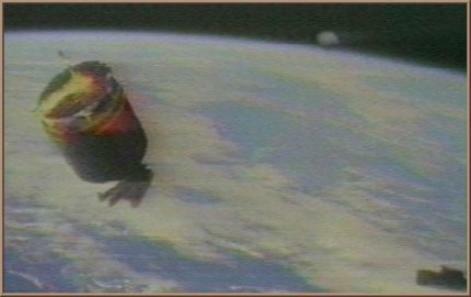 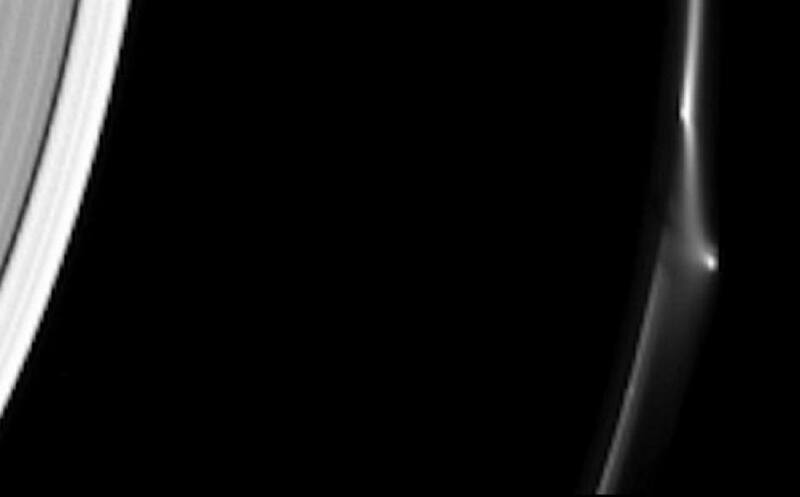 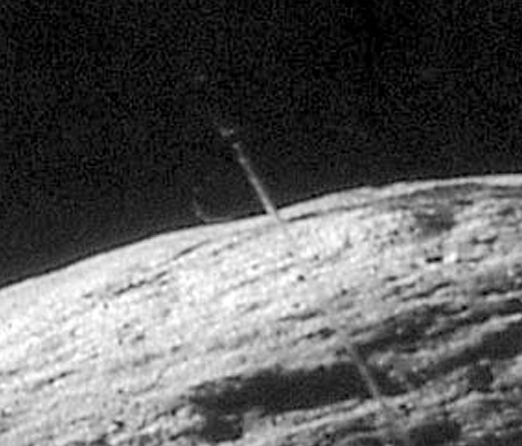 Phobos is a 90 miles long satellite of Mars in a very strange fast orbit,famously predicted to be hollow by Carl Sagan..both probes were sent offline when they got too close, (one right after it tried to scan the satellite with a laser beam).This is a still from the last footage & shows a moving shadow of some elliptical object moving between the probe & the surface. 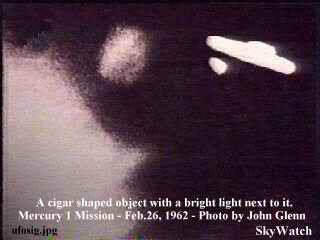 These cigar craft have been photographed on Eart,the Moon & near Phobos. 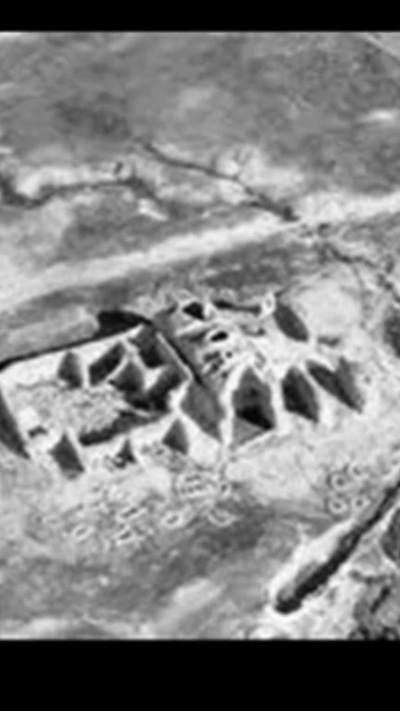 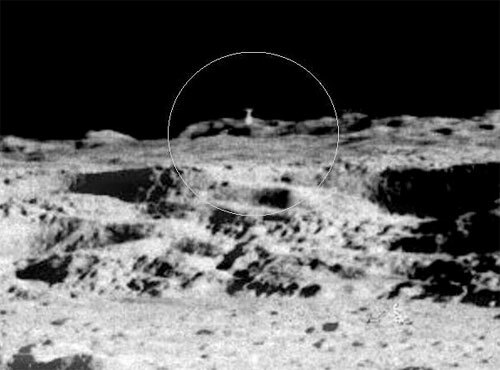 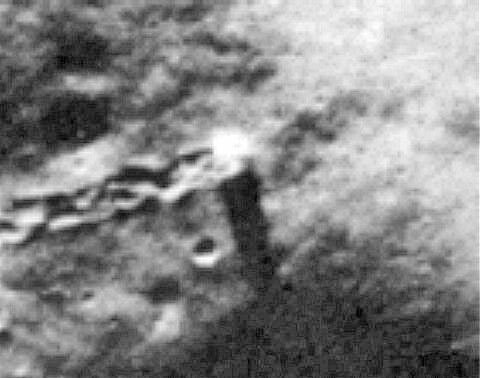 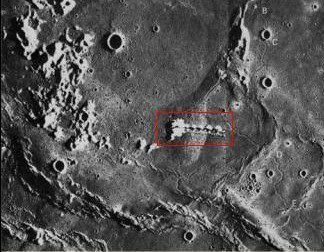 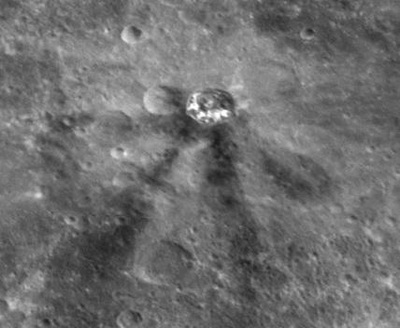 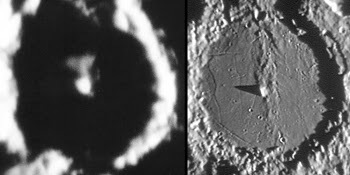 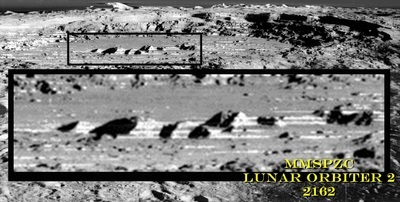 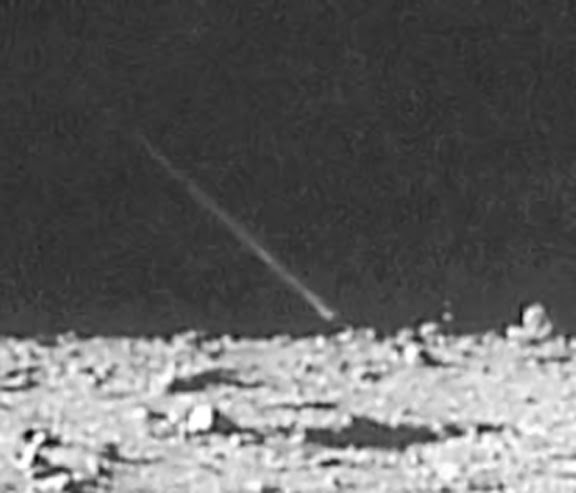 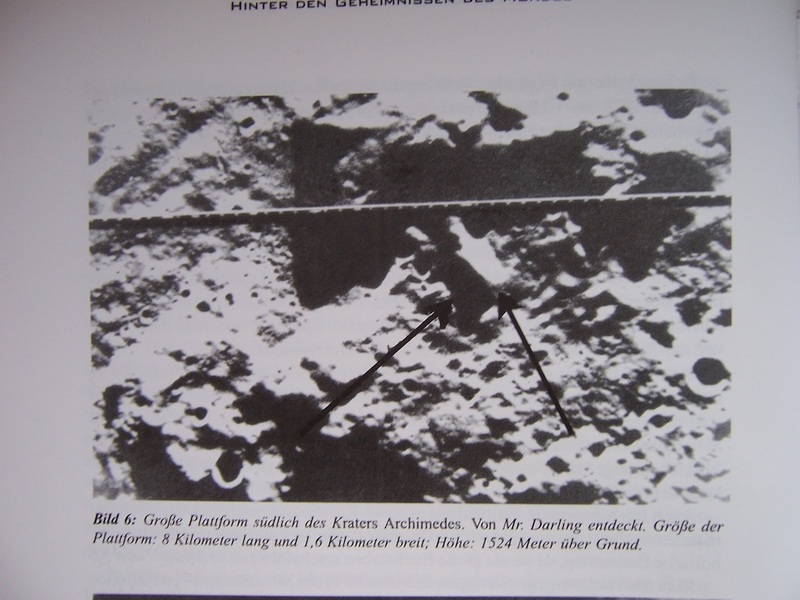 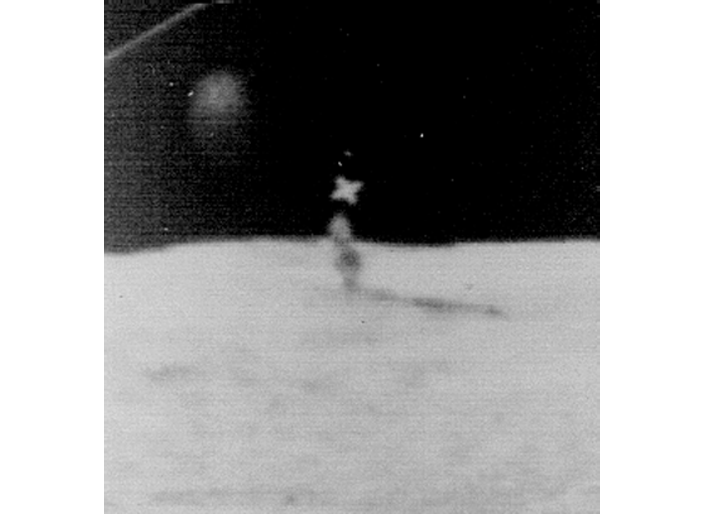 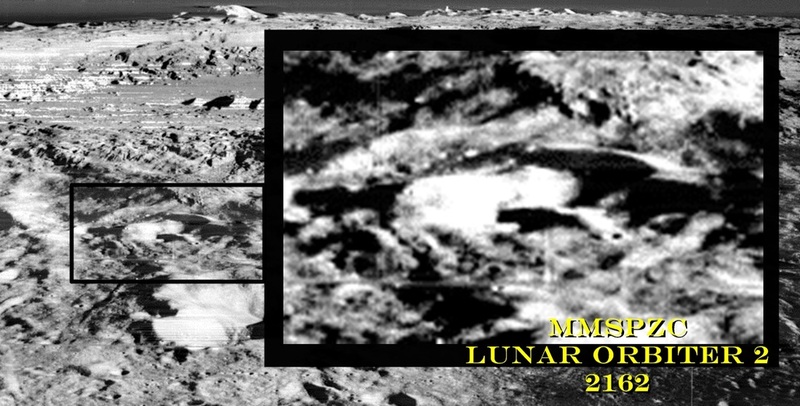 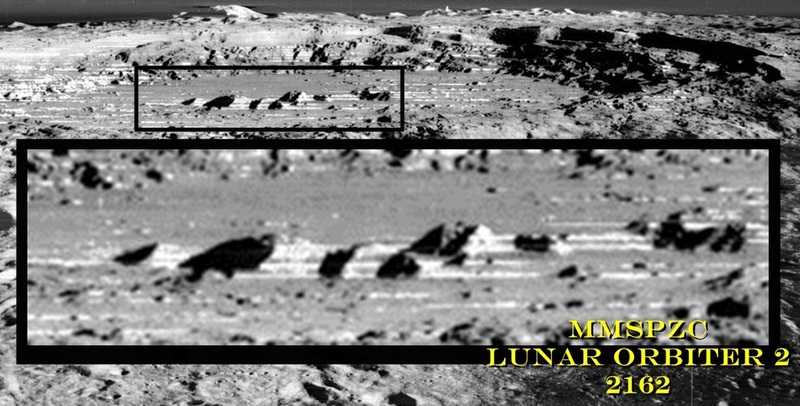 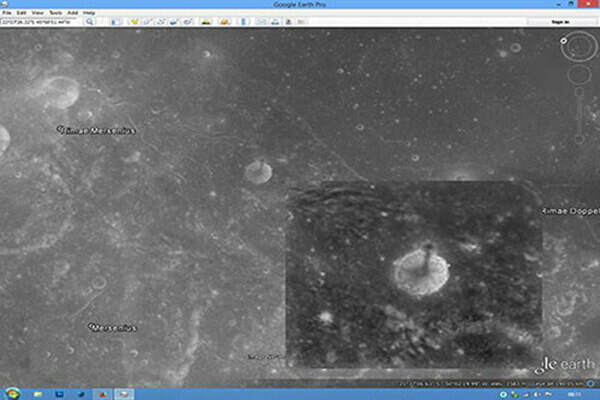 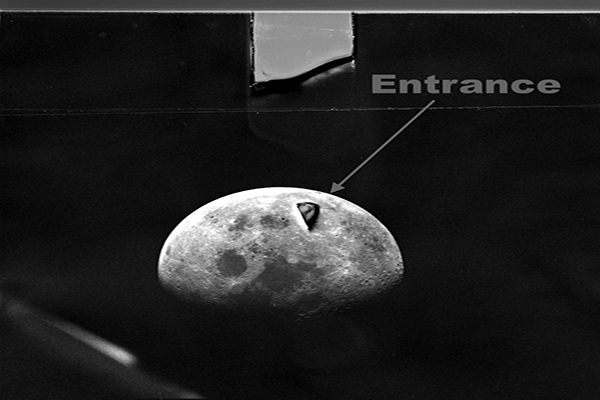 This feature,known as the 'Castle',is clearly artificial & is suspended above the lunar surface on at least two cables.It may be the structure Collins saw on the Apollo11 mission,which he mentioned in a twelve minute live broadcast that was later censored,but was heard by thousands.It could be the 'pagoda' allegedly bult by Chinese emperor Yao's engineer Hou Yih & his wife Chang Ngo in 2309 BC.This was a time when humans were given little tours of the moon by more evolved humanoids.There is also documentation from 2700BC & the Yellow emperor concerning the 'Sons of Reflected Light' (so called because their silvery space suits reflected light).The Chinese showed documentation to the Nixon administration concerning the fact they had visited the moon.They described it as 'desolate,cold & glassy'. 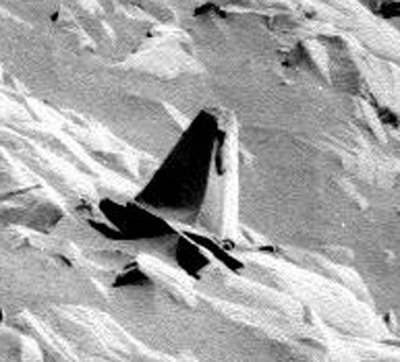 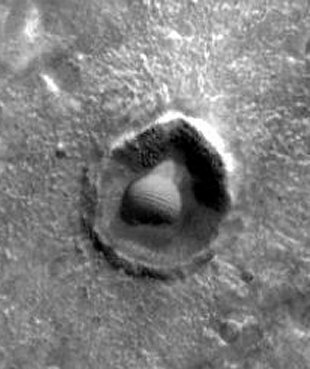 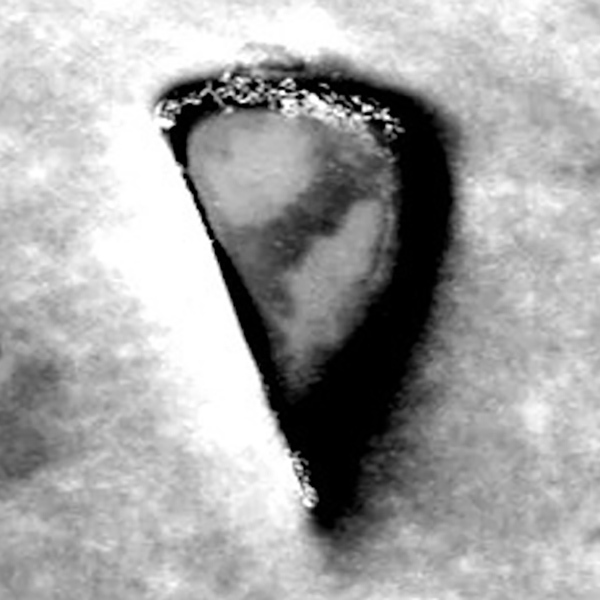 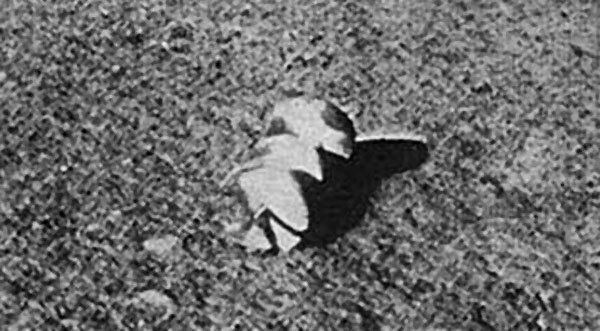 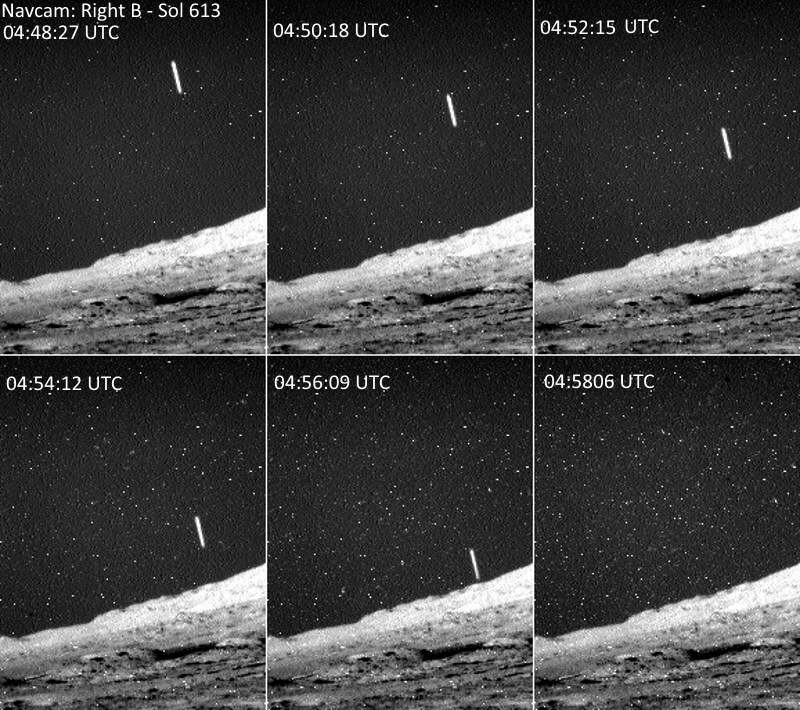 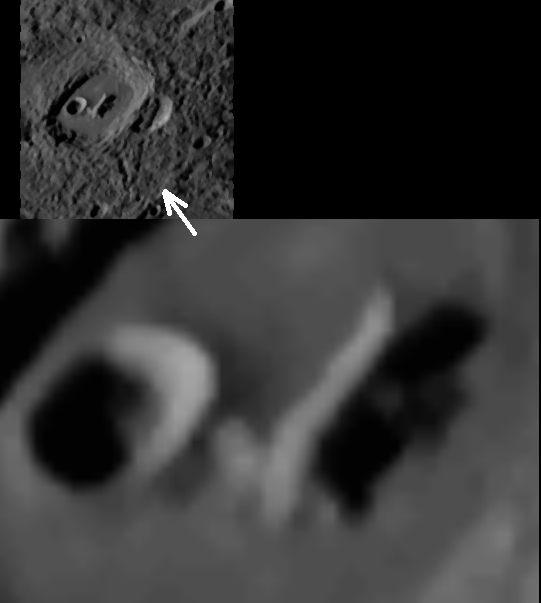 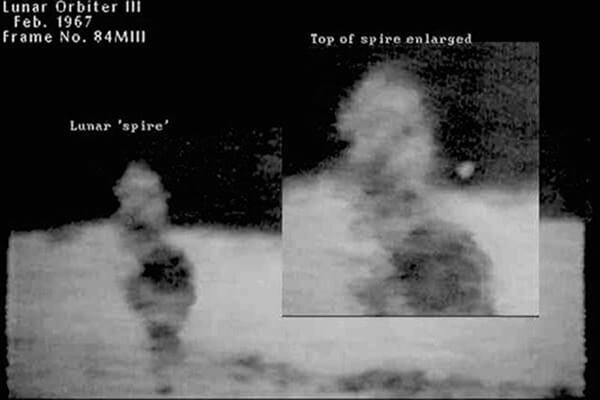 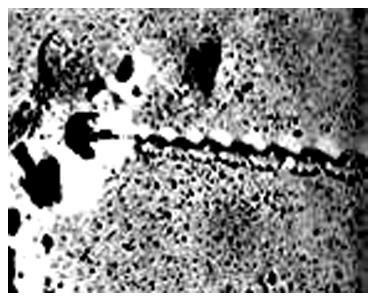 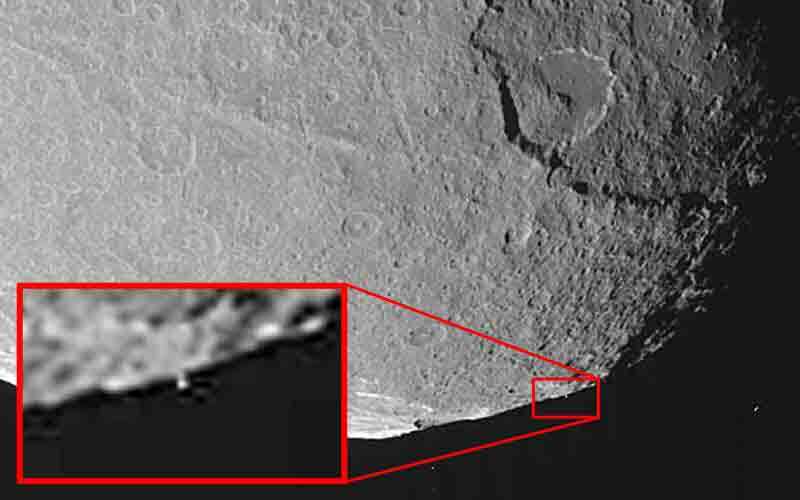 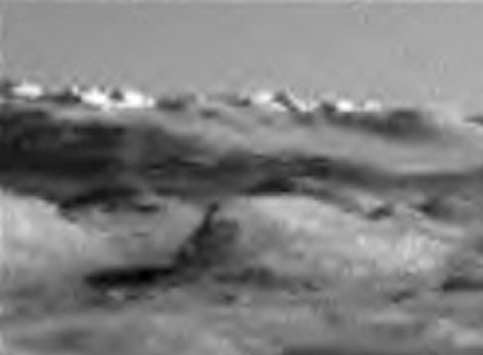 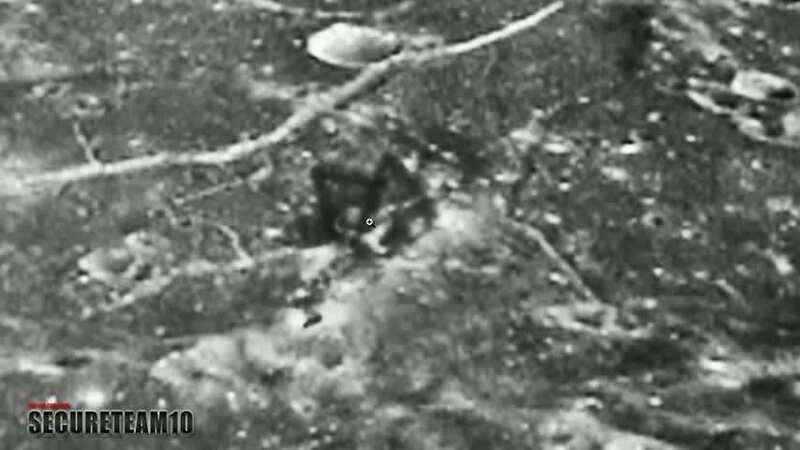 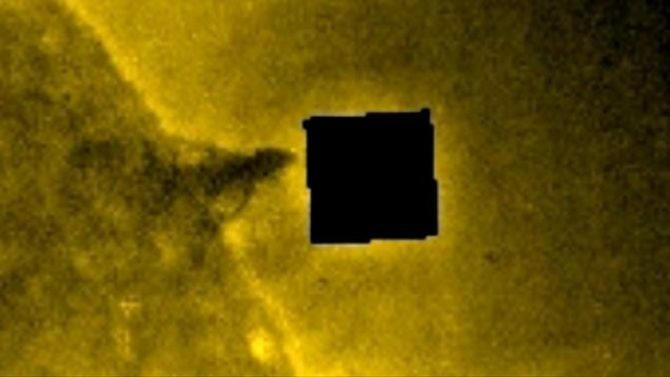 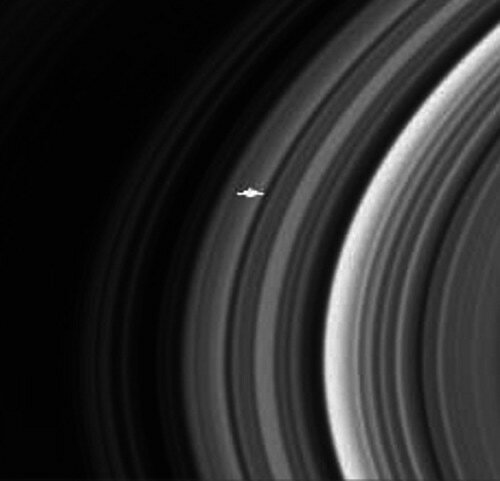 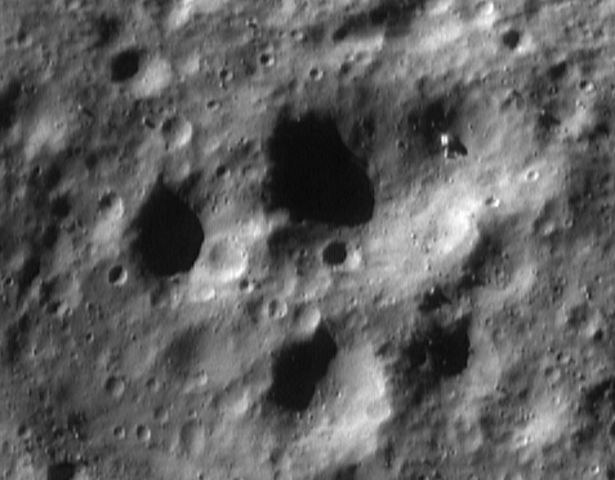 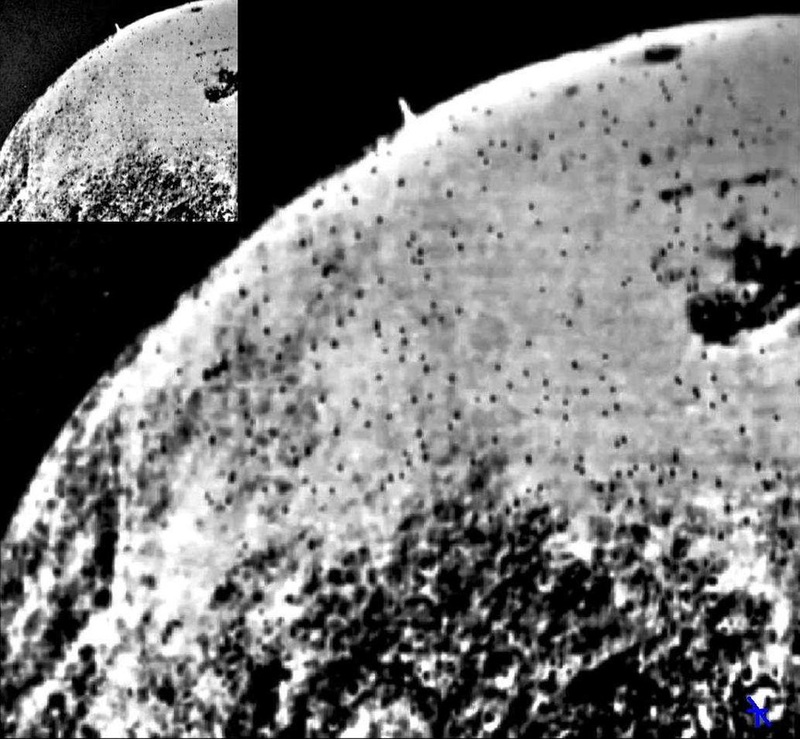 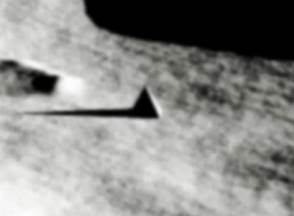 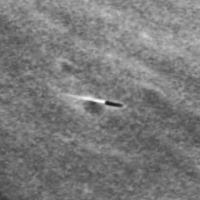 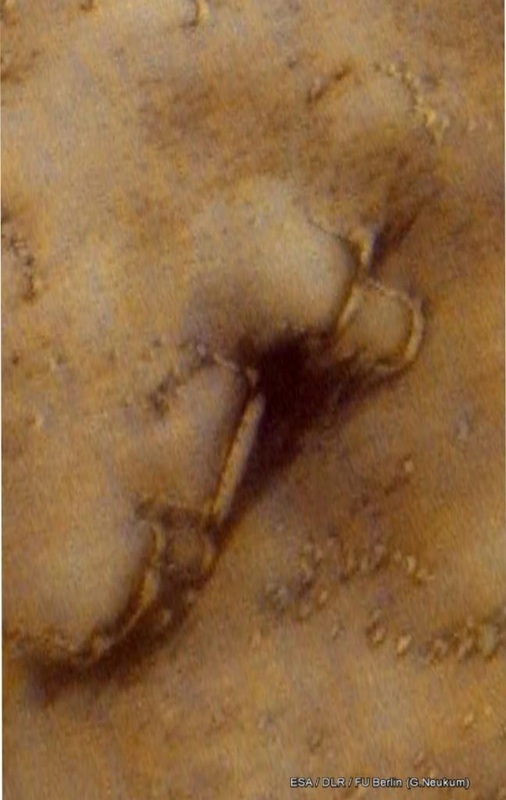 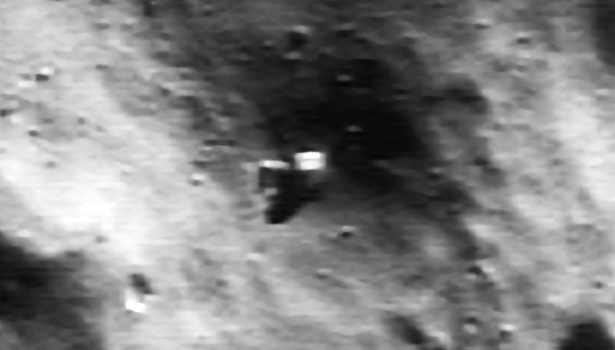 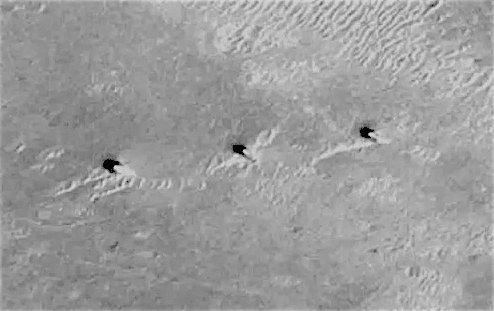 Eros-taken by the Shoemaker spacecraft at a distance of thirty miles,it clearly shows some type of artificial structure. 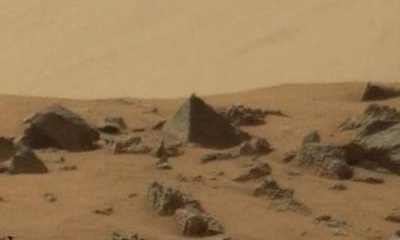 Detail of spiral tower-is the photo below the broken remains of one of these? 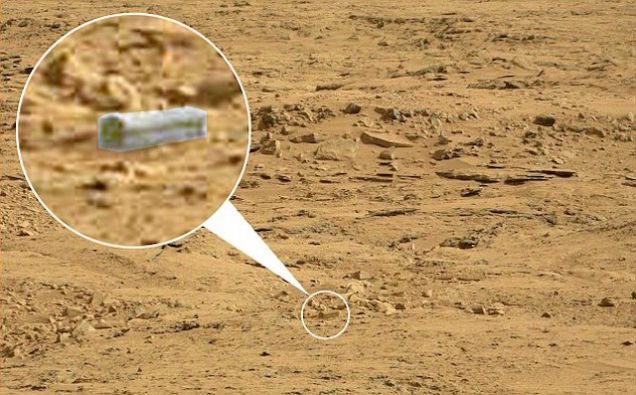 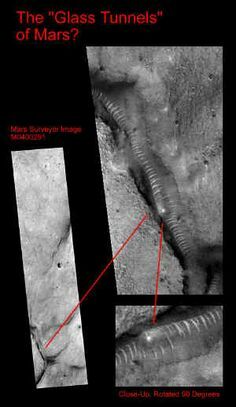 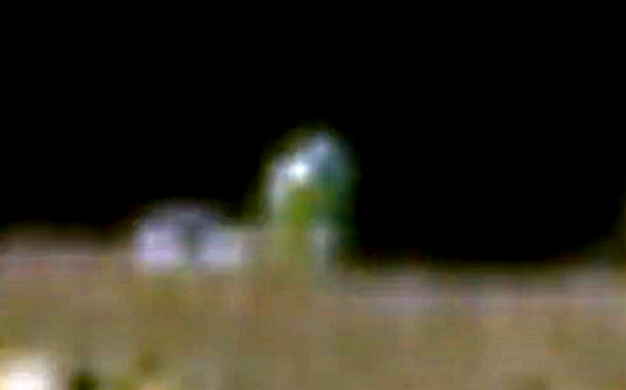 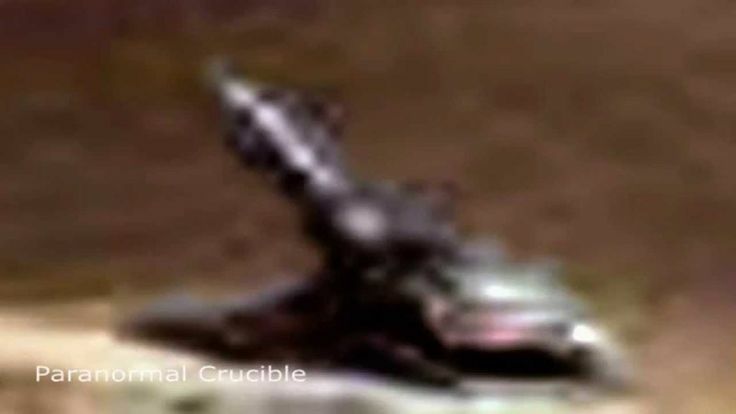 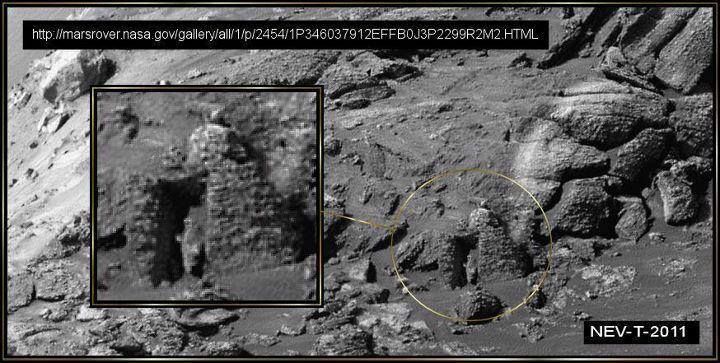 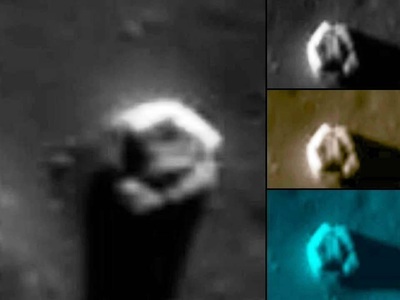 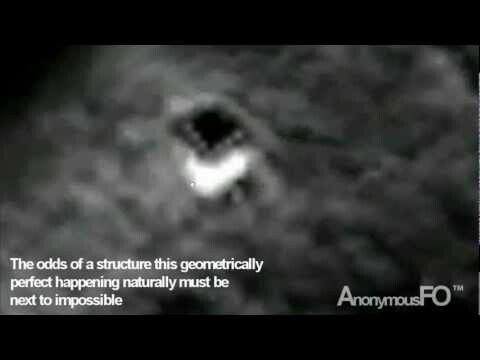 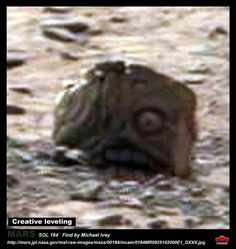 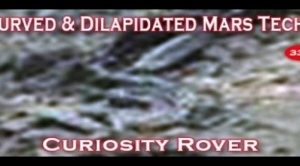 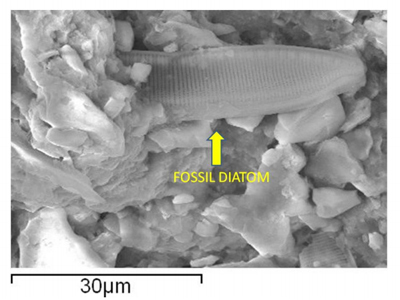 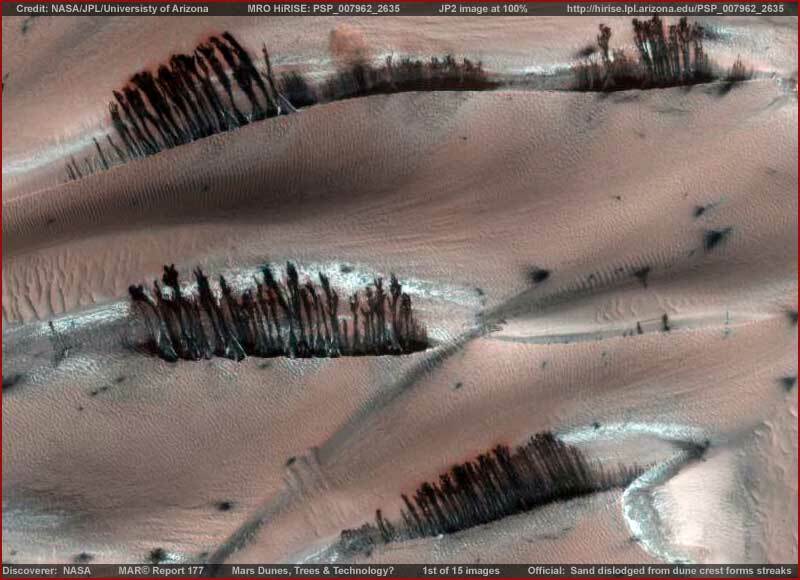 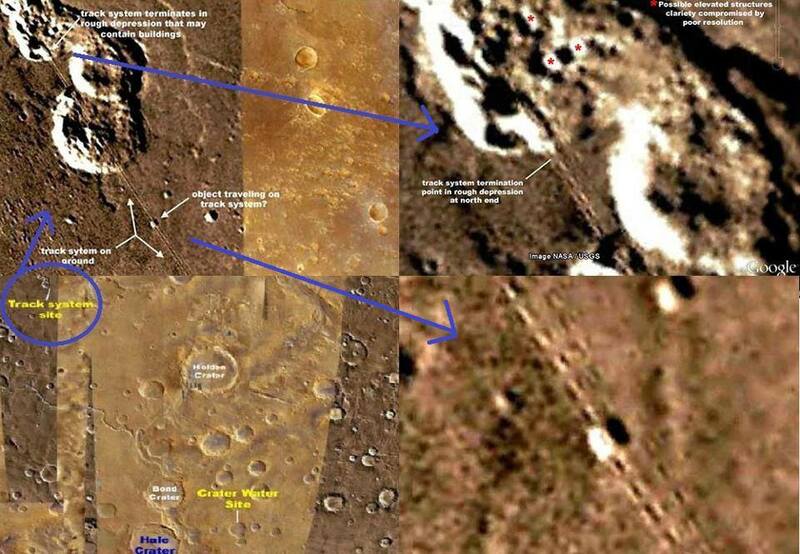 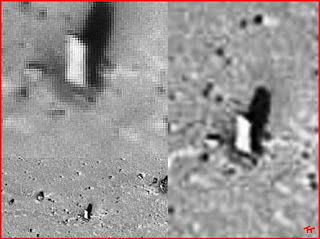 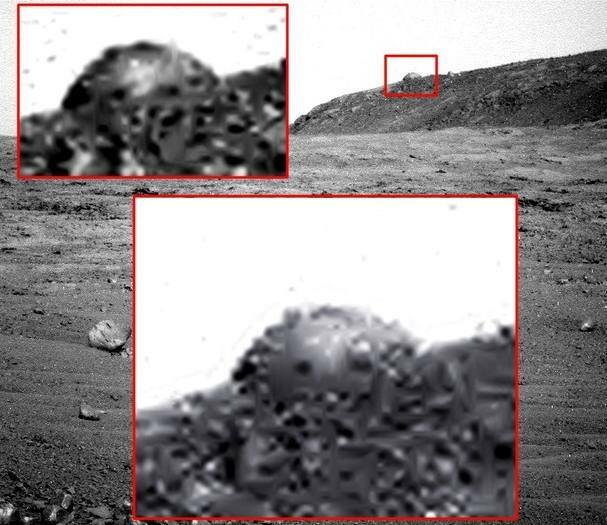 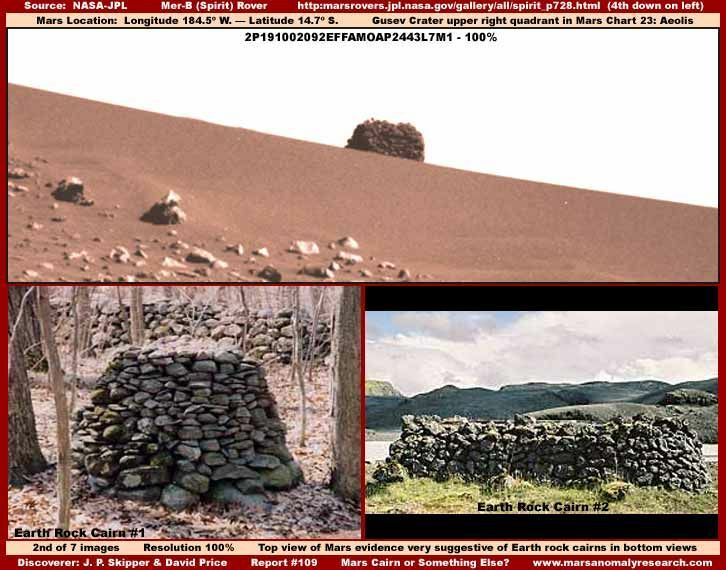 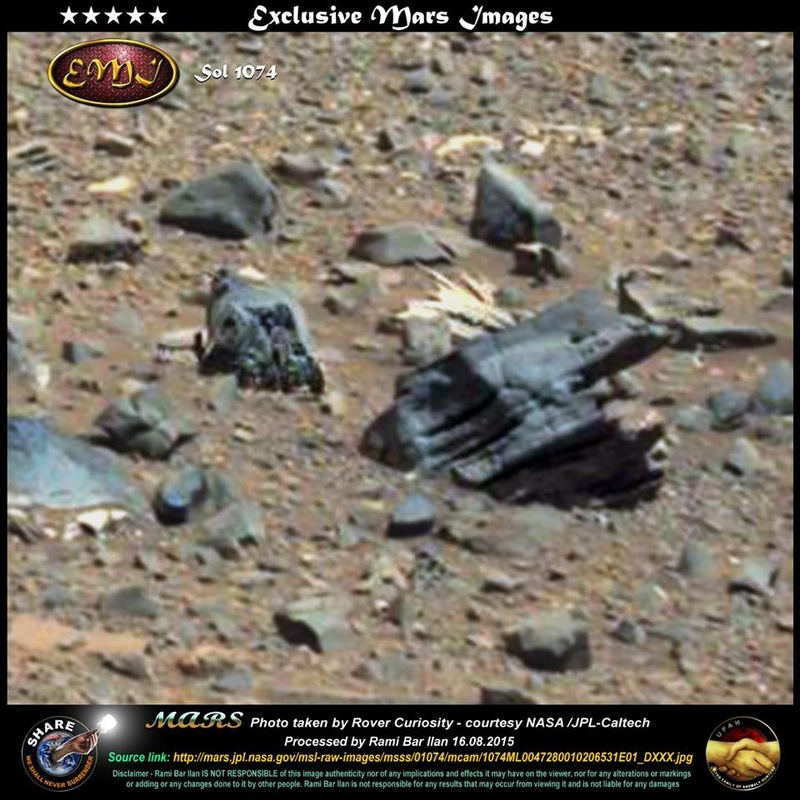 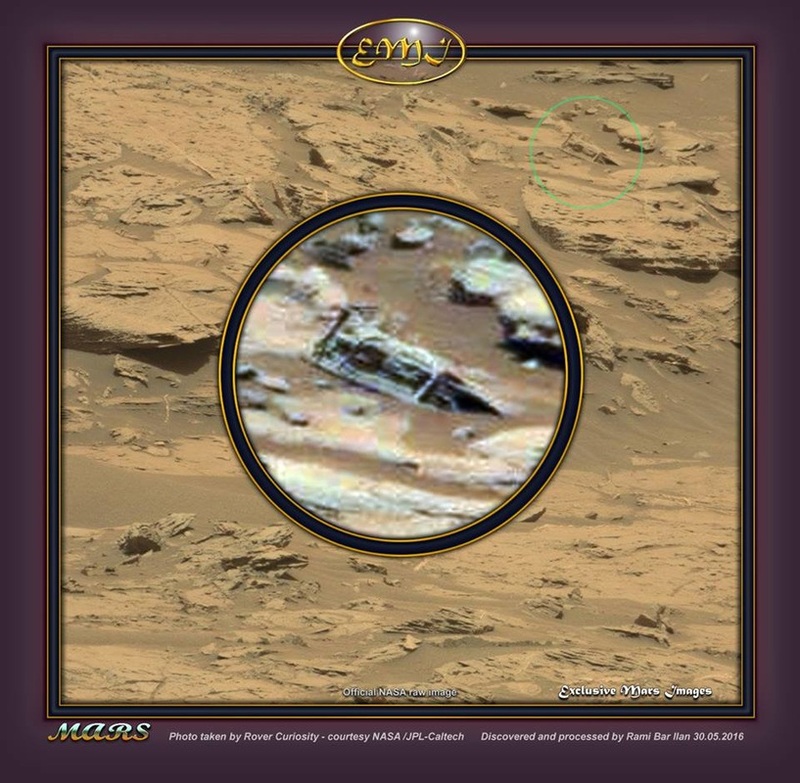 This feature is known as "the Shard"
IT is an open secret that there is plant life on mars around lakes (above)..
A cylindrical object (craft) overlies Mars Curiosity Rover May 2014..Same sort of object filmed at Popocatapetl volcano & on the moon (by Armstrong & others),Phobos & in Earth orbit near the ISS recently (frequently).Also Curiosity photographed a horizon that seemed to have buildings on it,as it does according to insiders & proponents of the Solar Warden theory..Clearly the higher echelons of Humanity have a relationship with another race or races in the solar system,as Clark.C.McClelland's testimony suggests. 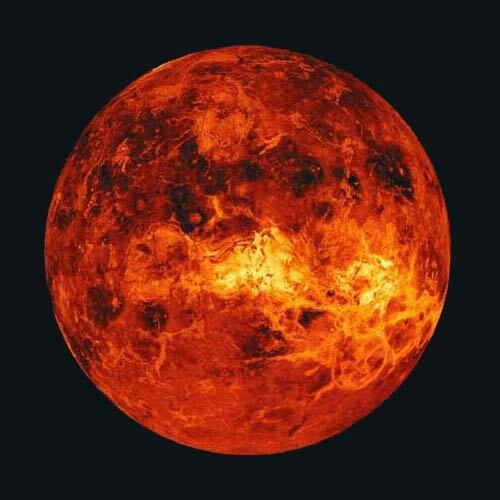 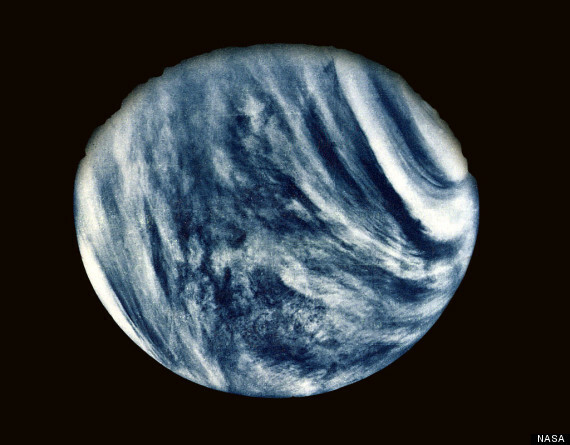 Above:A famous forty year old photograph of Venus...note it has an atmosphere.These clouds don't look like Sulphuric acid clouds they look like normal fluffy clouds to me.. 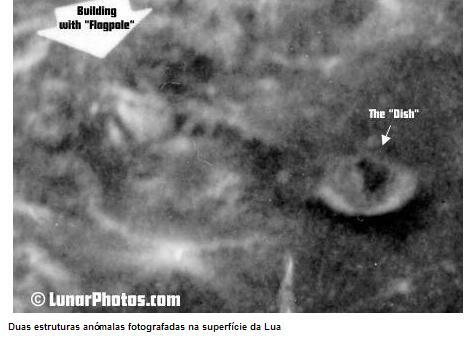 This is how they try to portray Venus in glossy mags & sites like space (.com),they still have the first image there,but for how long? 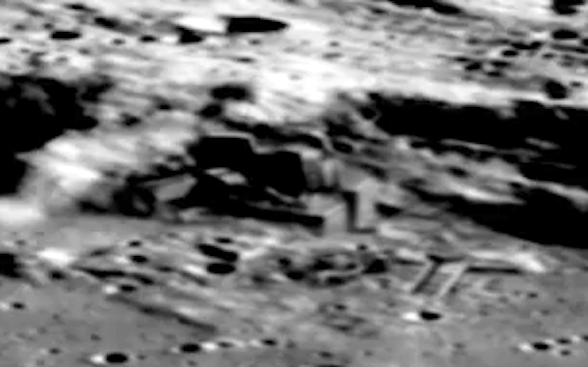 How long before they only show it as a dead,sulphuric acid hellhole? 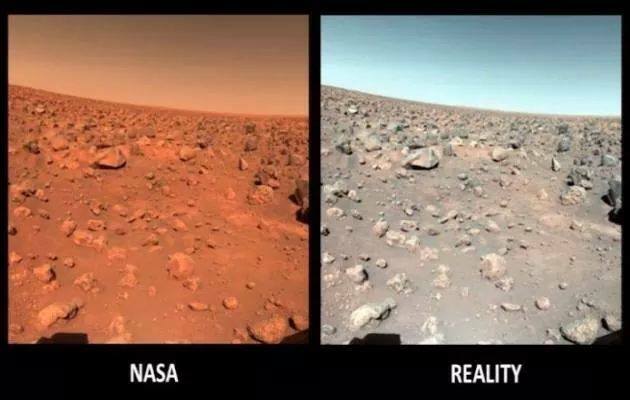 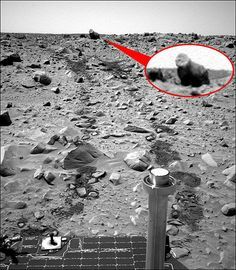 This is what they want you to think it's like..but consider this,a planet either has an atmosphere or it does not..The parachutes on the Venera lander weren't heat retardant,Yet didn't burn in the alleged 800 plus degrees.. 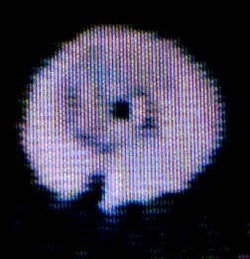 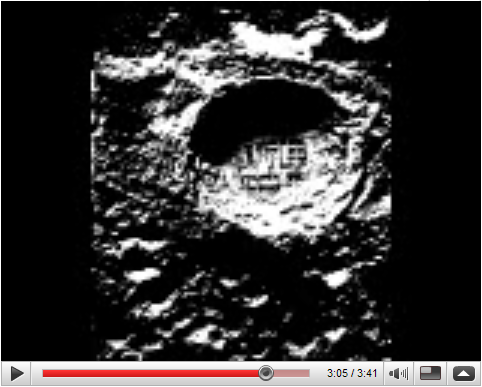 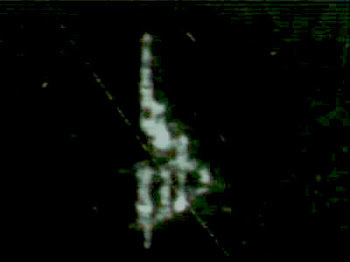 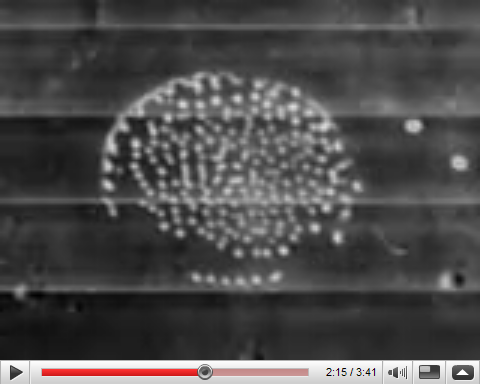 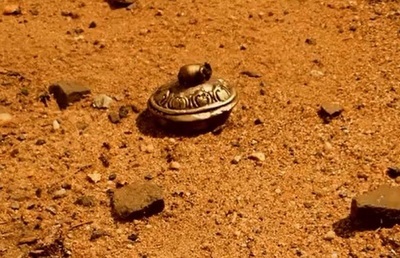 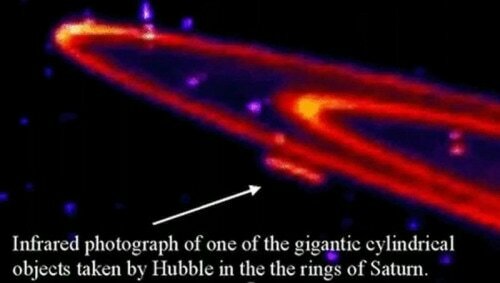 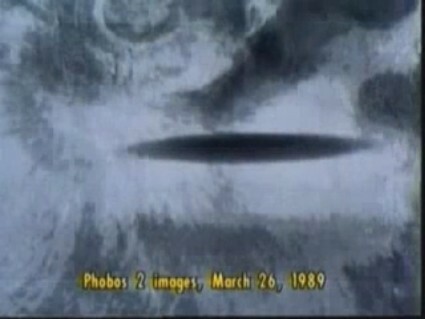 Above:This is the symbol on the side of the UFO seen by Lonnie Zamora in the famous case..Not the Arabic symbol for Venus which was used as a decoy..it is said this is the real symbol..Nikolai Tesla was famously called a "Mad Scientist" for claiming to be in contact with people in bases on Venus..Recently,Magellan probe images show structures on Venus (Below),indeed they look like buildings & have lights..